A USF Board of Trustees committee received a report Tuesday from a consolidation task force. 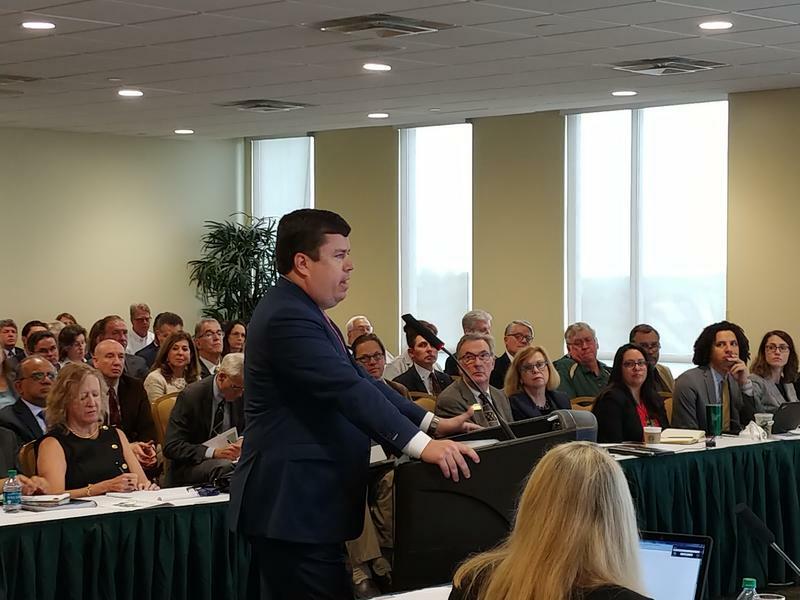 A University of South Florida Board of Trustees committee received a report on the consolidation of the school's accreditation Tuesday, and much of it is what many people wanted to hear. The latter status would have stripped the campuses of much of their independence to make decisions about such matters as hiring and curriculum. Instead, according to task force chair Mike Griffin, the plan keeps some power at the local level. “(The task force) believes in the empowerment of those that are closest to students because we believe that (they) can do the most to elevate student success, done in a manner that’s done in a manner that’s collaborative and in concurrence with their counterparts in Tampa,” said Griffin. “Our path forward is designed to continue that collaboration and concurrence, but doing it in a way that empowers the local campus leadership and faculty to continue find innovative ways to elevate student success for all students at the University of South Florida." Critics of the “instructional sites” concept, including faculty at USFSP and USFSM, also said it would make attracting and keeping quality faculty difficult. Instead, Griffin said the plan adds faculty and expands some programs across all three campuses. "I believe that under "One USF," and with the right marketing and the right positioning, that not only will we continue to attract world-class talent in research and in teaching, but also world-class students, and do so in a way that continues to diversify our student body, which is really a point of pride for USF now and will be in the future," said Griffin. 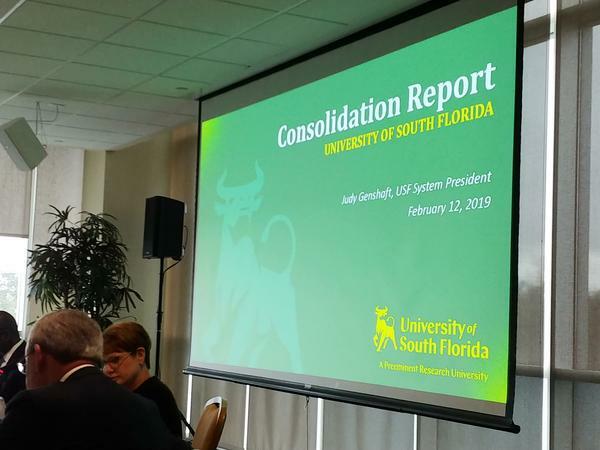 While trustees were presented with almost 300 pages between the plan and a document detailing the next steps, USF still needs to put together a comprehensive business plan for the unified school. That direction, including how many new faculty USF can hire, will become clearer once lawmakers decide how much money USF will receive in the state budget later this year. The plan indicates over 90 faculty members would be hired across the system, with a bulk being added to handle proposed new degree expansion at USFSP and USFSM. There’s also some concern about USF’s preeminent status going forward. After a lengthy battle, USF finally achieved preeminent status in June 2018, joining the University of Florida and Florida State University at that level among the state’s 13 public universities. Because USF cleared 11 of 12 benchmarks set by the Florida Board of Governors in metrics such as student quality and student success, the university was eligible to receive an additional $6.1 million from the state starting with the 2018-19 school year. The consolidation of accreditation opens up the possibility that those funds can be shared by all three campuses. However, those benchmarks were attained using only the numbers for its Tampa campus from fall 2017. Provost Ralph Wilcox told trustees Tuesday that when figures from that year for all three campuses were combined, the USF System fell short in two categories: freshman-to-sophomore retention (88.3% of freshmen returned for a second year, compared to the 90% benchmark) and four-year graduation rates (57.3%, compared to the 60% benchmark). Under the Florida Excellence in Higher Education Act passed by lawmakers and signed by former Gov. Rick Scott in 2018, USF is required to consolidate accreditation of all three campuses by July 1, 2020. Trustees will review the plan and have to submit a final draft to the state Board of Governors by March 15. The Board is scheduled to hold its next regular meeting March 5.